In the first of a new series looking at the most topical issues affecting farmers, Danusia Osiowy finds out more about dealing with and beating the onset of depression. We all experience low moods at some point in our lives, often in response to something specific and its potential impact. It is common to hear people say they are depressed if they are feeling miserable or fed up, but when the onset of true depression sets in, the illness can have a profound and debilitating effect on an individual and their family. Affecting one-in-10 people, and the most common mental health illness in the UK, depression can hinder a person’s life for weeks, months or even years, and can interfere with work, social and family life. Suicide rates in farmers are among the highest in any occupational group and it is estimated one farmer a week commits suicide. 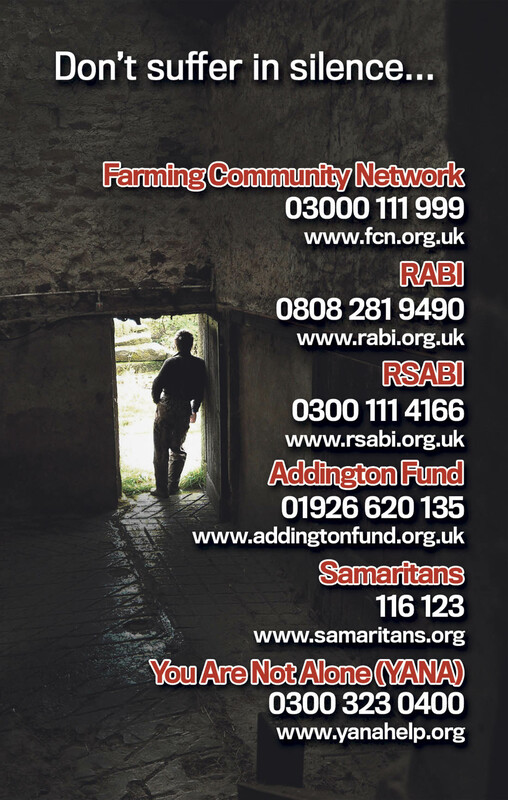 It is a harsh reality that access to highly lethal means, such as firearms, poisons and machinery, result in a large proportion of suicide attempts in farmers being fatal. This means impulsive, spontaneous attempts claim many lives. Limiting access to lethal means when a person is depressed or suicidal may save their life and enable them a chance to seek the help they need. According to the NHS, there are many people who still think depression is trivial and not a genuine health condition, making it harder for those experiencing it to speak openly and seek the help they need. Depression is a real illness with real symptoms, and it's not a sign of weakness or something you can ‘snap out of’. In its mildest form, depression can mean being in low spirits and does not stop you leading your normal life, but makes everything harder to do and seem less worthwhile. At its most severe, clinical depression can be life-threatening, make people feel suicidal and like giving up the will to live. Symptoms of depression can range from prolonged feelings of sadness and hopelessness, to losing interest in what were once the things you enjoyed and feeling very tearful. There can also be physical symptoms too, such as feeling constantly tired, physical aches and pains, sleeping badly and having little appetite. There is no single cause of depression and, although it does have many different triggers, it can happen with no obvious reason. 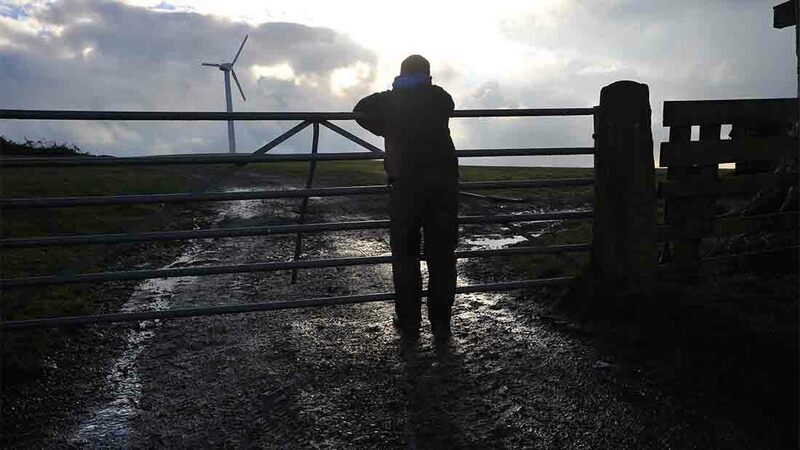 For some, it can happen following an upsetting or stressful life event, such as bereavement, divorce and illness, or something specific to a farm business, such as money worries, animal disease or a poor harvest. For others, it may be the result of a downward spiral of events, such as financial worries, cutting off family friends, drinking more and becoming totally isolated. Living with depression is difficult for those who suffer from it and for their family, friends, and colleagues. But the condition is very treatable and most people make a full recovery. Treatment options include self-help projects, such as exercise, books and computer-based treatments; talking therapies which aim to identify negative thought patterns and learning to react pro-actively. Medication is also an option and is known to be effective, safe and non-addictive. A visit to the GP will determine the right method of treatment once it is determined how your depression is affecting you mentally and physically. Dr Adrian West, a clinical psychologist who lives within a rural community, says depression can take many forms. He says: “Sometimes there is no easy explanation as to why it has happened. People around them cannot find explanations, but will notice they are more irritable, quiet and not themselves. “In severe cases, the world can seem permanently grey and as though everything is behind a glass screen. You cannot connect with what is going on it, can be a terrifying feeling. “It is a harsh fact of life some farmers and workers in the agricultural industry take their own lives. People avoid talking about suicide, but a lot of farmers have access to lethal means. If they do not feel safe they should give their guns to someone else. “People do more reckless things after they have been drinking. They are more likely to self-harm after alcohol. Self-medicating through drinking is not the best way to sort things out. “Depression can happen as a reaction to bereavement, loss or financial hardship. Sometimes, there is no straightforward cause or even pattern of symptoms. “We know depression affects the way people think about their life and problems. Often people think there is no way out. "Sometimes the first step is telling someone you are not coping very well. Go to your GP. Sometimes medication can help you sleep better and lessens the fretting so you can think better. There is help. Struggling with the farming pressures and a family accident left James Hosking feeling alone. The five calves standing in James Hosking's yard are more than just potential cattle. They are a sign of hope in what has been a distressing few years for the 21-year-old and his family. It was a call in the middle of the night six years ago which would set James on a difficult journey. His auntie had fallen down the stairs and when his parents needed to rush to her aid in Essex, a stressful year-and-a-half began. James and his father needed to rotate days they worked on-farm with helping his auntie. 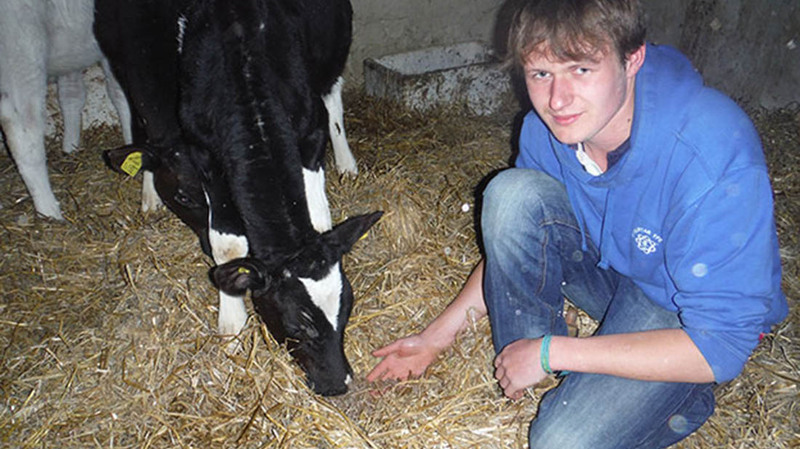 James skipped college regularly and would work long days labouring on the dairy farm. By the time James was 17, the pressure was mounting. The dairy industry was in decline and the farm was running out of money. James says: "Both me and dad started sinking about six months before we sold the cows. It felt like we just had to get on with it, that these things just happen and you have to deal with it." Although close friends stood by James and his family, he noticed others would avoid speaking to them. Friends James would usually chat to in the pub avoided eye contact and would 'disappear' before he could make it over to speak to them. "When everything was going wrong, it felt like we had the plague. "We found out who our real friends were. The invites dropped off and people stopped offering their support, making us even more isolated. "It felt as if people didn't want to come near us because they knew things were unstable. "Looking back, I think it was because people didn't know what to say. They don't know how to deal with you when you are in trouble and depressed." James had been an active member of St Buryan YFC, but as his depression worsened, he stopped socialising. After the cows were sold, he got a job in Aylesbury and tried to move away from the farm. "Mentally and physically, dad and I could not do it anymore. I tried to run away from the problems but I took them with me. "I was still depressed and realised nothing I was doing was helping me. "I came back home and went to see a doctor." It was not long after his return home when James took part in an Agrichat Twitter discussion on mental health, where he shared his own story. It marked a turning point. He says: "It seemed to surprise everyone. People who I had known for years had not been aware how bad I had been. "I realised I was not alone and these things are not meant to happen to people." Since then, Hames has found work on neighbouring farms and his dad has gained new qualifications to help him find work too. James is hopeful he can restore the farm one day and his calves are a new beginning. "Everyone laughed at me when I bought just five calves at market. "I just wanted some animals back on the farm though, as I grew up with them. "It is nice seeing them there and it gives me hope for the future."